Cambodian Court Orders Seizure of Opposition Party's Headquarters - Integration Through Media ....! 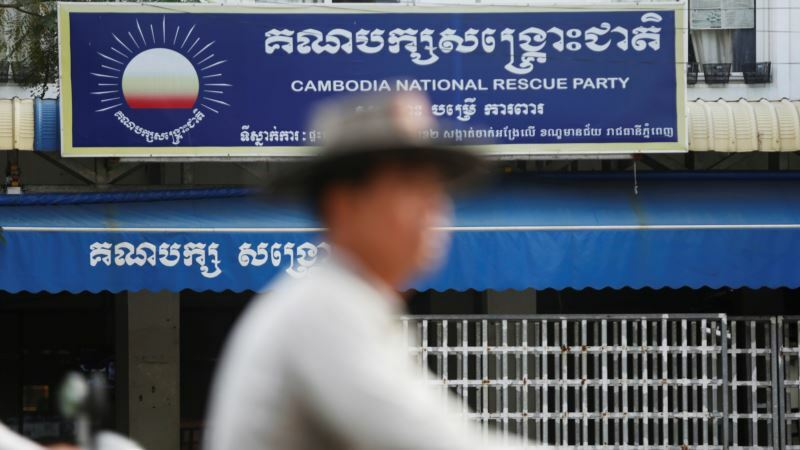 (VOA): A Cambodian court on Tuesday ordered the temporary seizure of the headquarters of the main opposition party, pending the payment of damages to Prime Minister Hun Sen, the latest blow to the dissolved opposition Cambodia National Rescue Party (CNRP). Rights groups and Western nations have decried a crackdown against the political opposition and independent media ahead of a general election set for July 29. The Phnom Penh Municipal Court found veteran opposition chief Sam Rainsy guilty of defaming Hun Sen last December and ordered him to pay damages of $1 million. Sam Rainsy was convicted of defamation over claims he made in France that Hun Sen bribed an activist to break up the CNRP, which was dissolved last year at the government's request. He was also convicted of defamation in a separate lawsuit and ordered to pay damages of $62,500 to National Assembly President Heng Samrin, of Hun Sen's ruling Cambodian People's Party (CPP). Judge Ros Piseth ordered the seizure of the CNRP headquarters, which was also Sam Rainsy's former home, in the capital, Phnom Penh. “In order to defend the benefits of creditors in this case by law and guarantee the effective legal enforcement, the court should seize the property temporarily,” Ros Piseth said. Sam Rainsy, who has lived in France since 2015 to avoid prison sentences, did not respond to a request from Reuters for comment. His party, the CNRP, was dissolved by the Supreme Court in a decision that also banned more than 100 CNRP lawmakers from politics. The CNRP dissolution was followed by the arrest of another leader, Kem Sokha, last year for allegedly plotting to overthrow the government with U.S. help, an accusation both the United States and Kem Sokha have rejected.